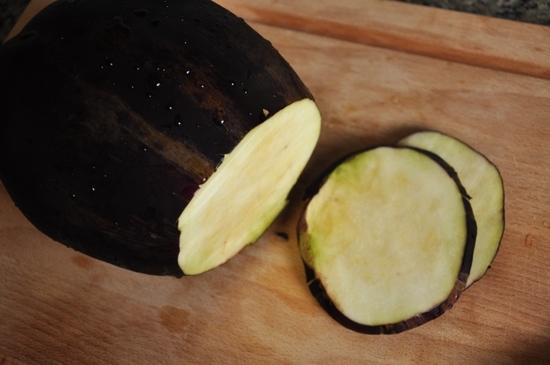 One particularly fine friend recently said he didn’t like eggplant. 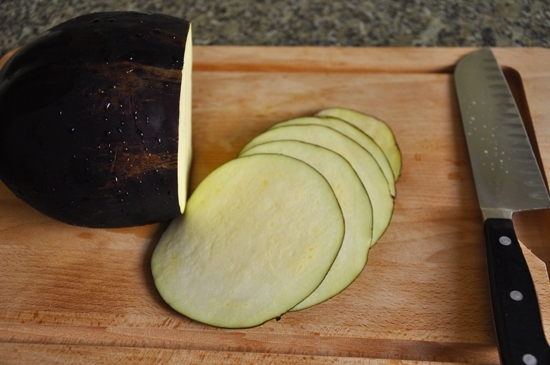 So I made eggplant for dinner. When someone tells me they don’t like a particular food, I don’t hear them. I go conveniently deaf. Then I’m suddenly possessed by the overwhelming urge to make that particular food. Annoying? Probably… but I like to take the more highbrow view — it is a challenge! And the ultra competitive older sibling in me kicks in and becomes determined to change their mind. 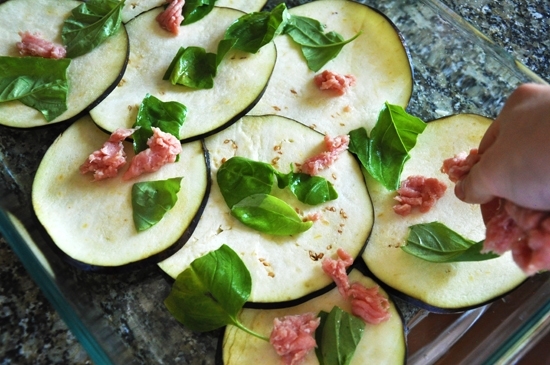 Then you lay them nicely, overlapping, in a baking dish and drop torn pieces of basil. Then tomato sauce and cheese, mmm cheese, the universal food that ties us all together. With enough cheese, you will change any one’s mind… even about politics… a chunk of cheese does wonders. 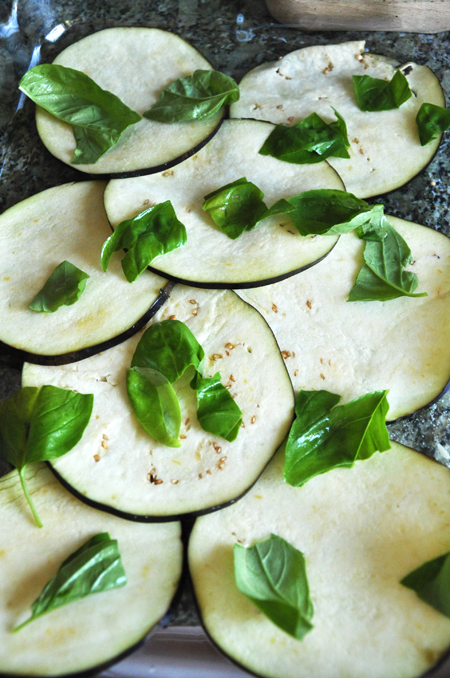 Keep repeating these layers over, and over, again, and again until you’ve run out of eggplant. 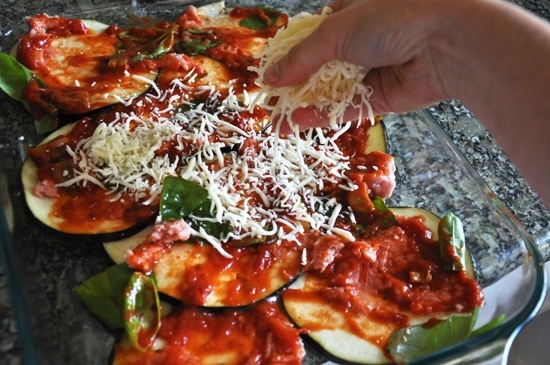 Sprinkle the top with red pepper flakes and a touch of nutmeg. Stick this in the oven at 350 degrees F for an hour or so…til the top looks golden and gooey. Did it work? Did the man convert? You betcha! And he liked it even more the second day. The competitive inner child in me is glowing. 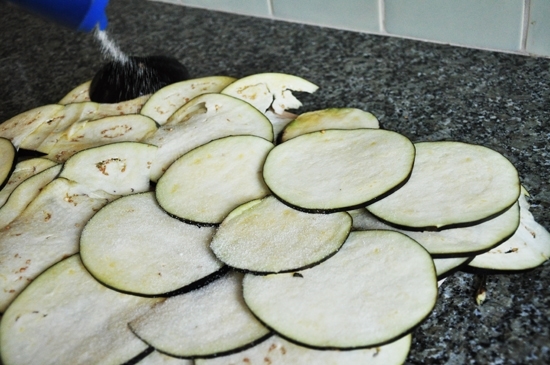 Slice the eggplant horizontally very thinly. 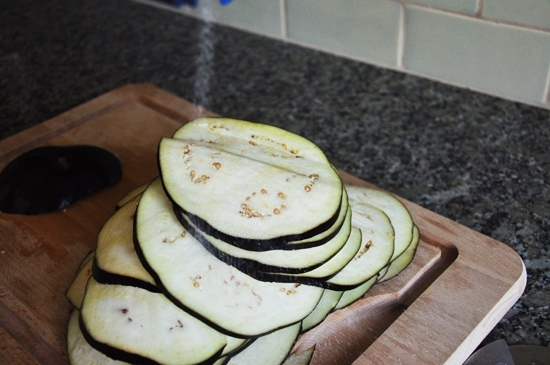 Salt it well and let it sit for 45 minutes, or until it "weeps." 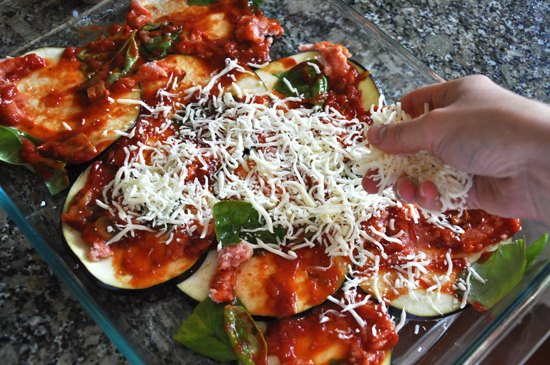 Add torn basil, ground turkey, a thin layer of tomato sauce, plenty of cheese, and a sprinkle of red pepper flakes. 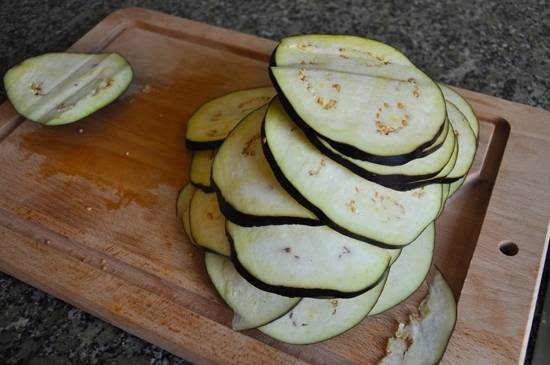 Repeat and repeat until you have no eggplant left. At the top sprinkle a bit of nutmeg and place it all in the oven. In 60 minutes or less, you will change someone's mind, one gooey bite at a time. Sounds delicious! Where’s the finished product?! Very good question… well, you see… I was so hungry that I threw my camera to the wind along with my mind and devoured the finished product before I could take a picture. It smelled that good. Next time Gordon, I promise! I made this the other day and loved it! 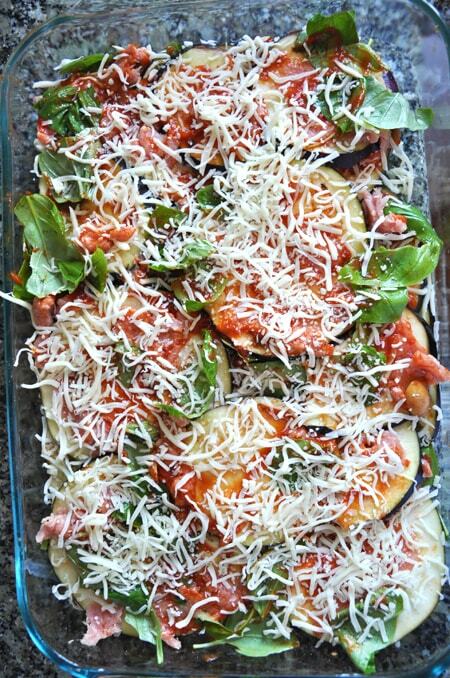 This is like a low carb healthy version of eggplant parm. It’s totally great. 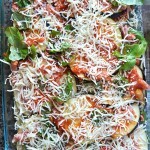 I don’t eat meat so I did this with just eggplant and cheese and it was perfect!